Scheveningen south is the best spot in Holland! Respect the locals! A complete surprise or I must have been there at the right time. It worked clean and even held some size and power. It got crowded in the afternoons but didn't find it that localised, (no fights). 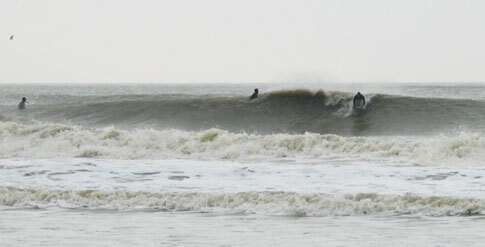 Lots of friendly peaks stretching across a sandy bottom, sea defences could cause a problem on the inside when it's big. Well worth checking if your are near, or on your way back from SW France/N Spain. Scheveningen can be one of the best spots in Holland. On big norherly or westerly swells with south westerly winds the harbour wall offers protection and gives some good rides. It reportedly holds waves up to 10 feet!! Scheveningen is just a big lie. Many wannabe locals who think they invented surfing. Get a grip on reality and take a look at the waves, it`s crap. Just respect everybody that enjoys surfing and cut the respect the locals stuff. You travel too don`t you? Exactly. I went to Holland back in '98 and the north side of that jetty just south of the Scheveningen pier was spining off waist high sets. Nice lines for a longboard or mabye even a fish if it were a little bigger. 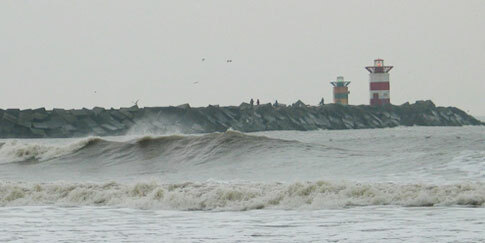 In my opinion that jetty produces the best wave in Holland. The sand build up there is just right for it to considered a decent surf spot. 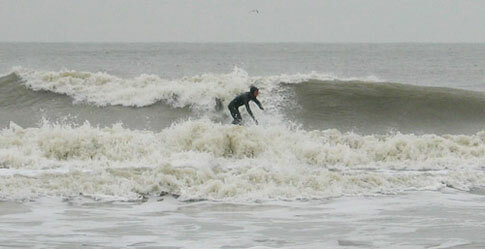 The local's at Scheveningen are just a bunch a m*therf*ckers, they think they can surf but they can't.. So don't waste your time on hate and frustation and check out other spots in Holland! !